Terry Kevin Amthor. 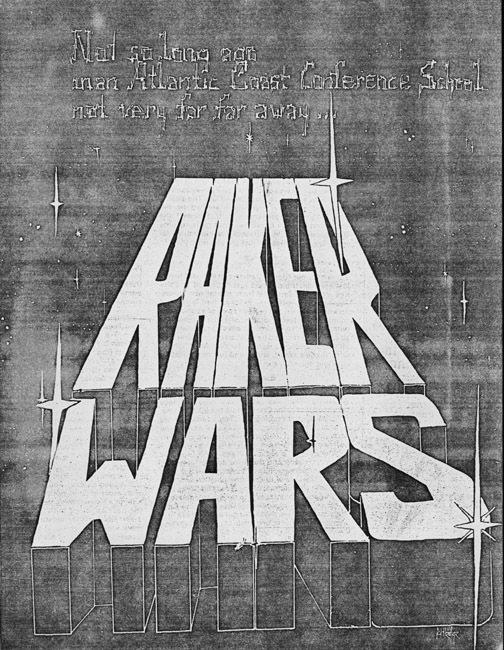 Photocopied typed manuscript of "Raker Wars." 1981. This parody of the movie Star Wars starred a cast of characters which closely resembled members of the 1980-81 University of Virginia Basketball team. An abridged version was published in The Declaration of March 26, 1981. 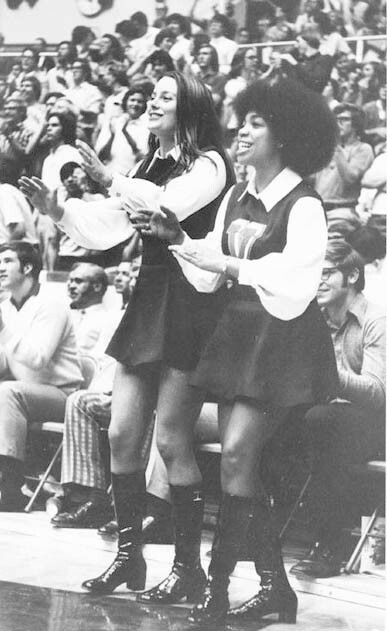 Photograph of University of Virginia cheerleaders. ca. 1971.